The third and thusfar biggest compilation album featuring the best from April May and June 2008. All tracks are from albums that were released in this period and were featured on NTNS radio. Dip your toes into something different and treat your ears as this compilation will take you from accoustic improv to dark ambient. 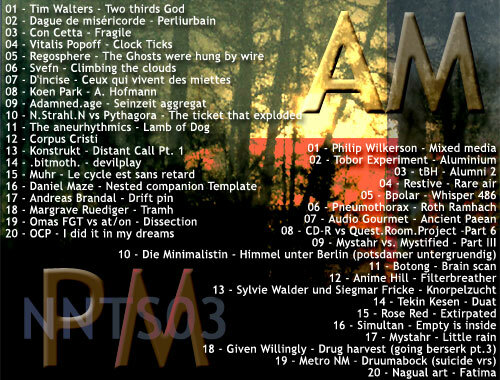 Visit the NNTS 03 page for more info and links to the various albums and netlabels.